UCSF scientists controlled seizures in epileptic mice with a one-time transplantation of medial ganglionic eminence (MGE) cells, which inhibit signaling in overactive nerve circuits, into the hippocampus, a brain region associated with seizures, as well as with learning and memory. Other researchers had previously used different cell types in rodent cell transplantation experiments and failed to stop seizures. Cell therapy has become an active focus of epilepsy research, in part because current medications, even when effective, only control symptoms and not underlying causes of the disease, according to Scott C. Baraban, PhD, who holds the William K. Bowes Jr. Endowed Chair in Neuroscience Research at UCSF and led the new study. In many types of epilepsy, he said, current drugs have no therapeutic value at all. The findings, which are the first ever to report stopping seizures in mouse models of adult human epilepsy, will be published online May 5 in the journal Nature Neuroscience. During epileptic seizures, extreme muscle contractions and, often, a loss of consciousness can cause seizure sufferers to lose control, fall and sometimes be seriously injured. The unseen malfunction behind these effects is the abnormal firing of many excitatory nerve cells in the brain at the same time. In the UCSF study, the transplanted inhibitory cells quenched this synchronous, nerve-signaling firestorm, eliminating seizures in half of the treated mice and dramatically reducing the number of spontaneous seizures in the rest. Robert Hunt, PhD, a postdoctoral fellow in the Baraban lab, guided many of the key experiments. In another encouraging step, UCSF researchers reported May 2 that they found a way to reliably generate human MGE-like cells in the laboratory, and that, when transplanted into healthy mice,the cells similarly spun off functional inhibitory nerve cells. That research can be found online in the journal Cell Stem Cell. In many forms of epilepsy, loss or malfunction of inhibitory nerve cells within the hippocampus plays a critical role. MGE cells are progenitor cells that form early within the embryo and are capable of generating mature inhibitory nerve cells called interneurons. In the Baraban-led UCSF study, the transplanted MGE cells from mouse embryos migrated and generated interneurons, in effect replacing the cells that fail in epilepsy. 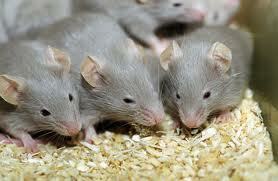 The new cells integrated into existing neural circuits in the mice, the researchers found. The mouse model of disease that Baraban’s lab team worked with is meant to resemble a severe and typically drug-resistant form of human epilepsy called mesial temporal lobe epilepsy, in which seizures are thought to arise in the hippocampus. In contrast to transplants into the hippocampus, transplants into the amygdala, a brain region involved in memory and emotion, failed to halt seizure activity in this same mouse model, the researcher found. Temporal lobe epilepsy often develops in adolescence, in some cases long after a seizure episode triggered during early childhood by a high fever. A similar condition in mice can be induced with a chemical exposure, and in addition to seizures, this mouse model shares other pathological features with the human condition, such as loss of cells in the hippocampus, behavioral alterations and impaired problem solving. In the Nature Neuroscience study, in addition to having fewer seizures, treated mice became less abnormally agitated, less hyperactive, and performed better in water-maze tests. NATURAL CURE FOR EPILEPSY, MY TESTIMONY! One of my children went through epilepsy for years. I couldn’t find a cure with western anti-seizure medication. My child solution came, when I went to the internet for a personal search for cure. I read a testimony of a mother who went through the same problem, but his child was totally cured by Herbal Medication of Dr. Mohan. I contacted the doctor, and today my child is totally cured and free from seizures and jerks caused by epilepsy. For those whose loved one might be going through the same problem, you may contact Dr. Mohan through this email [email protected]. You will find a cure just like I did for my child.